The inspection and verification of integrity marks and security features are common requirements for a wide range of web and sheet-based products, such as statements, bills & invoices as well as for bank notes, cheques, lottery tickets and software security labels. Requirements include checking the presence, position and integrity of applied features such as barcodes, QRcodes, foils and hologram devices and base paper inserts such as security threads and watermarks. Reading these integrity marks and security features accurately and reliably is paramount for any inspection or integrity control system. Although standard line scan cameras produce extremely high-resolution images, they require a lens to project the image onto the sensor and need significant headroom to see the entire sheet or web. These requirements create issues for certain applications and devices. Discovery Maxscan is a revolutionary new scanning technology which uses a unique sensor, lens and illumination arrangement that enables the unit to operate at a close working distance while maintaining clear, sharp image definition over its entire length. 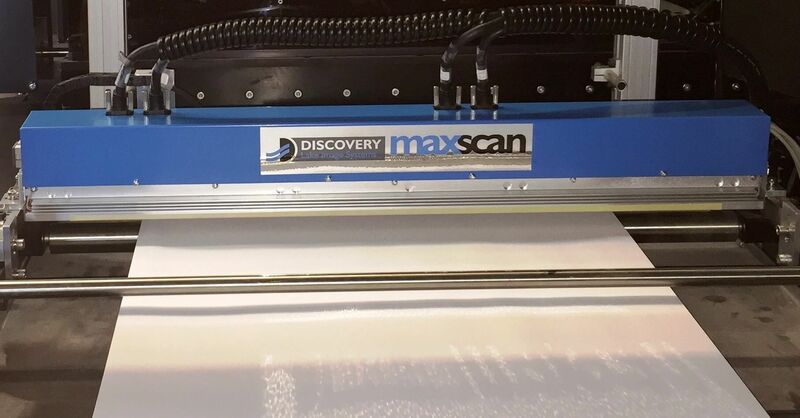 The MaxScan is an exciting new addition to the Discovery family. Our Discovery MultiScan Manager pulls together the images and data from a wide variety of cameras, including the new MaxScan contact scanners, and enables the implementation of any number of Discovery software tools to read, control, inspect, verify, log, track and report – providing 100% quality inspection and print data integrity. Sophisticated image processing software and our new 64bit OS, enables MultiScan to read and quickly process the extremely large (1GB+) images that are typically created by MaxScan. Our 20 years of imaging expertise has enabled Lake Image Systems to be one of the first vendors to offer the MaxScan solution. 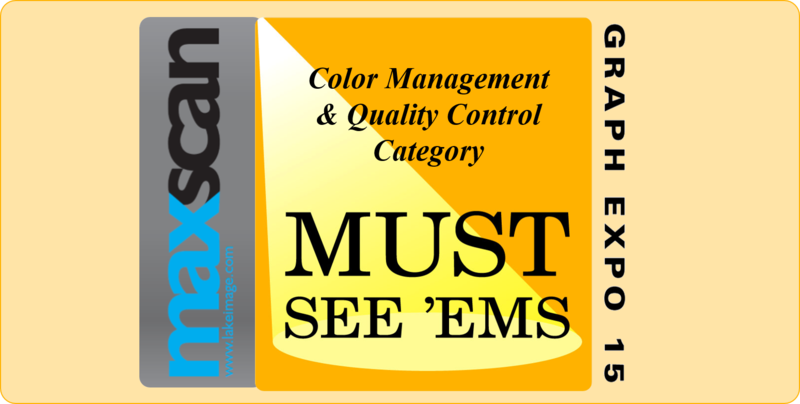 Winner of the coveted Must See Em award at GraphExpo 2015 and the prestigious 2015 Global Label Industry award for Innovation, Discovery Maxscan is recognised for the importance the industry is placing on the need for accurate, continuous and real-time variable data and print quality inspection solutions that ensure that every printed document, label, tax stamp, card or package is produced without defects delivering immediate economic, operational and environmental benefits for the industry. Sophisticated image processing software and our new 64bit OS, enables MultiScan to read and quickly process the extremely large (1GB+) images that are typically created by MaxScan. Fully integrated into a single housing. Digital Laser Printers (OEM) – Easily integrated into the printer housing to avoid the need for additional rollers, redesigned web paths or complex optical assemblies typical with standard camera inspection technologies. Web Printing/Labels (offset, digital & narrow web presses) – Printers and label converters and finishing equipment users can replace existing Linescan camera technology with Maxscan. Security Printing (Tax Stamps, Foils, laminates) – read and verify variable QR codes, barcode and text on challenging, highly reflective surfaces including holograms, security paper, tax stamps etc. Increased Customer Satisfaction – 100% inspection meets requirements of large, demanding customers.